The Junior men were off first, with Masters 1-3 behind. The front of the Junior men's race was decisive. Cam Wright lead Matt Dinham. Dinham clear on The Spine. 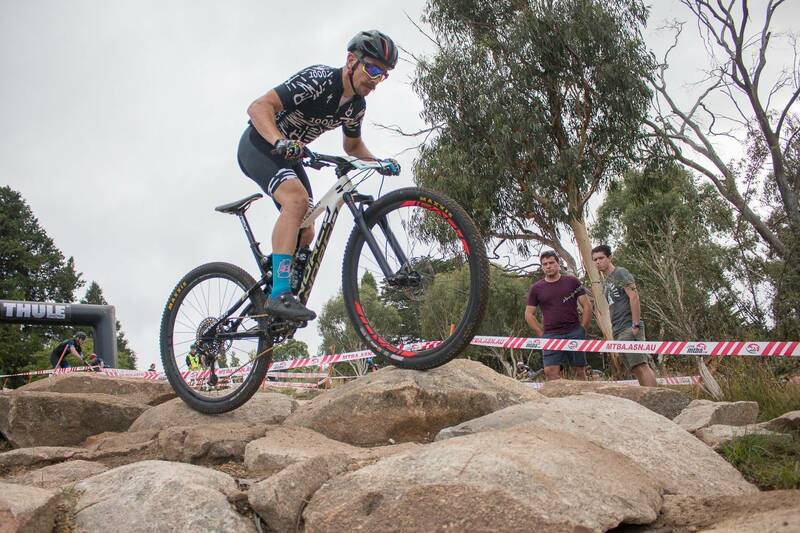 Todd Cuthbert in Masters 2 capitalised on his technical skills. 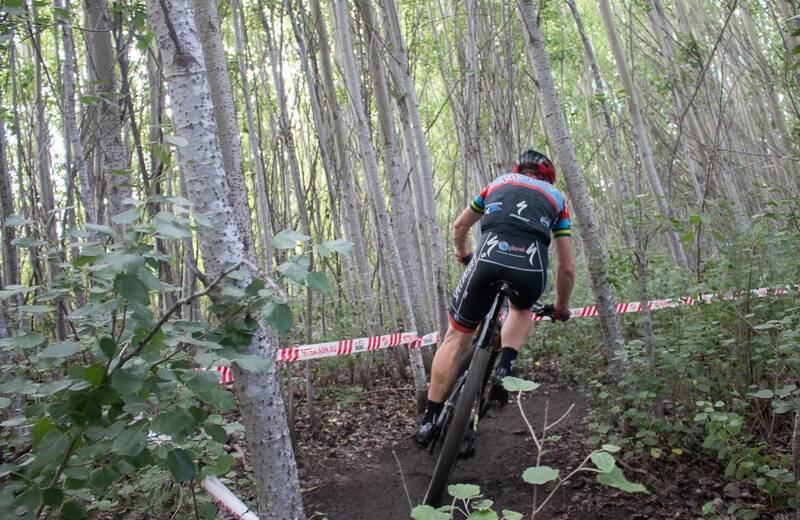 Peter Lister was out looking to add to his XCE Gold medal in Masters 3. Dinham pops his Top Fuel into Mars Attacks, making it look easy! The chase group in Junior men was all class: Sam Fox, Corey Smith and Charlie Brodie. 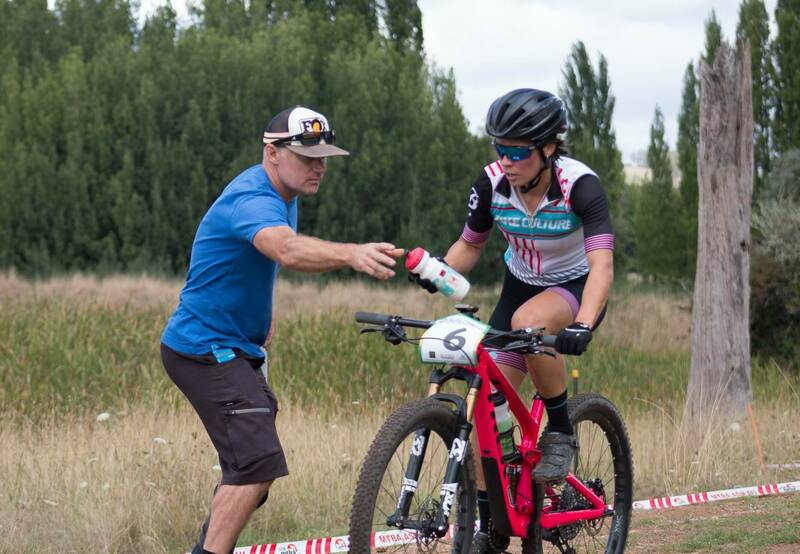 David Penhaligon has crusher the Masters 2 field this year, but he really had a race on his hand with Shannon Johnson. In the end, Wright was triumphant, with Dinham never gaining the time back from a small slip up on a step up. Could Bec McConnell do it again? Imogen Smith was right on her wheel out of the start loop. Holly Harris took charge on her home course, leading for two laps with McConnell right on her wheel. Eliza Smyth didn't have a great first lap, but found her rhythm and worked her way back into the race. And into 3rd. And on the 3rd lap, McConnell was away! Harris was 2nd and Smyth came in 3rd. Could Dan McConnell match the performance by his wife? You can't hide the happiness of a national title. Unleash! The Elite men launch. 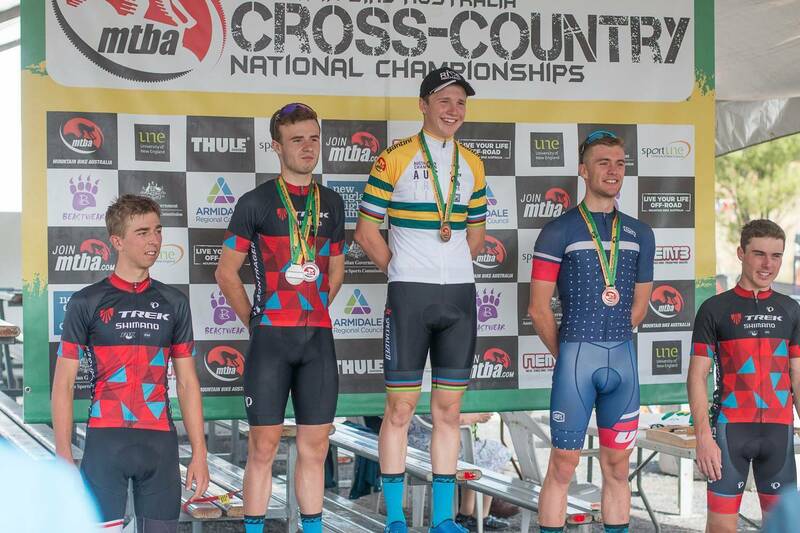 The U23 race started right behind Elite men, and Reece Tucknott was in the mix for a podium. 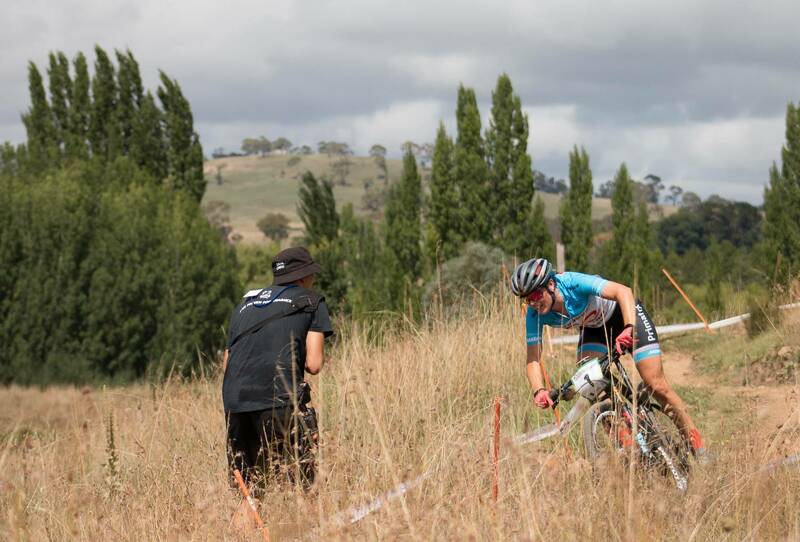 In the Elite Men, Cam Ivory and Dan McConnell were soon out front alone - but Ivory got a small gap and pushed it from there. 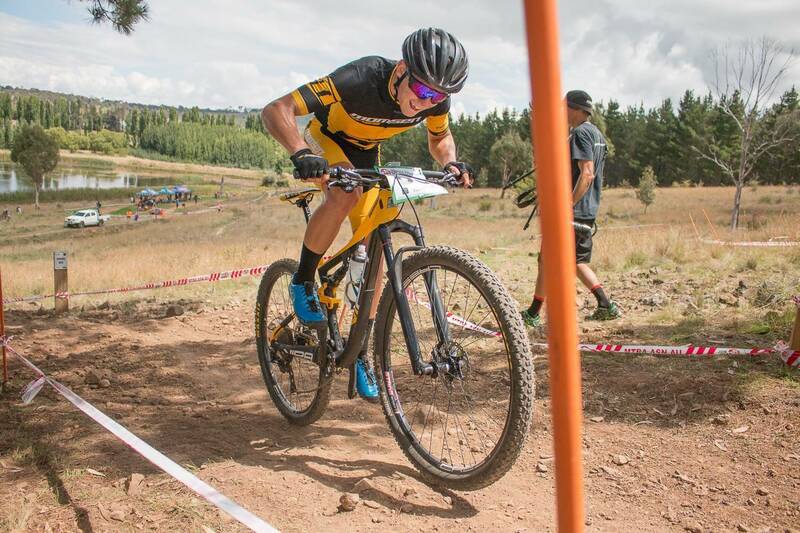 Tristan Ward might have gone #fullroadie, but that training discipline has helped his MTB results - he was 6th. JP van der Merwe charging over the roots. 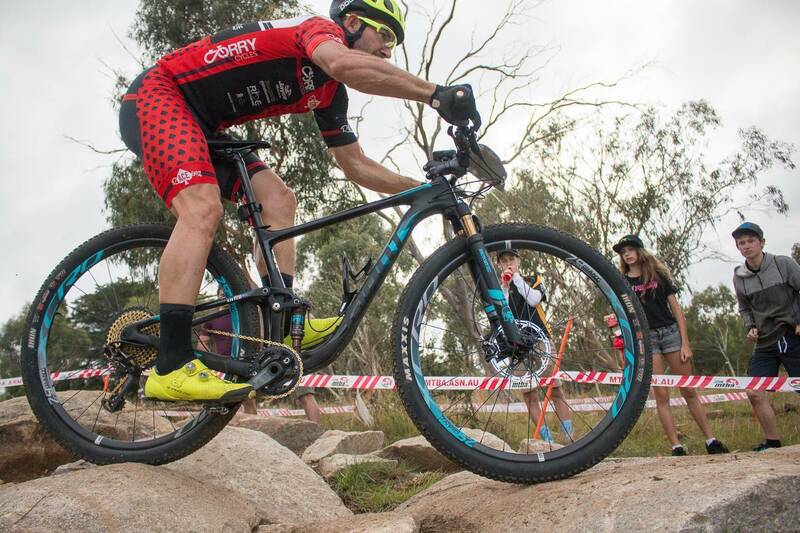 Brendan Johnston hasn't raced too much out of Canberra for a couple of months. But the guy trains hard and has an immense amount of talent. He was in the chase group with Sebastian Jayne and Ben Bradley. McConnell was chasing, but would finish 2nd on the day behind Cam Ivory. Seb Jayne was 3rd. 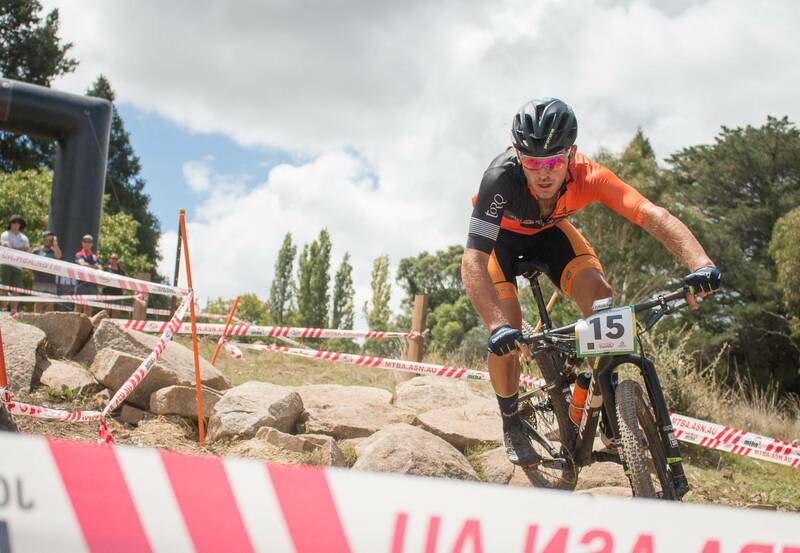 McConnell and Ivory claim National XCO crowns! 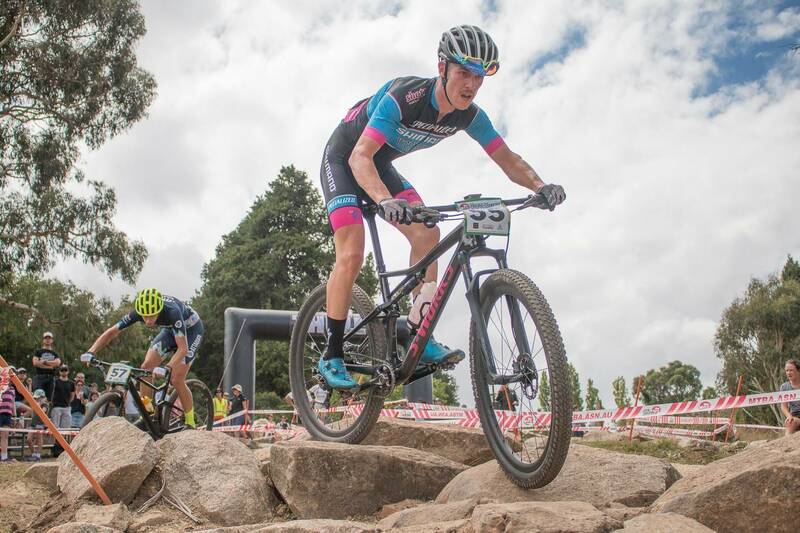 Sunday had 9 National Titles on the line at the National XCO Championships in Armidale, and the racing really delivered deserving champions. 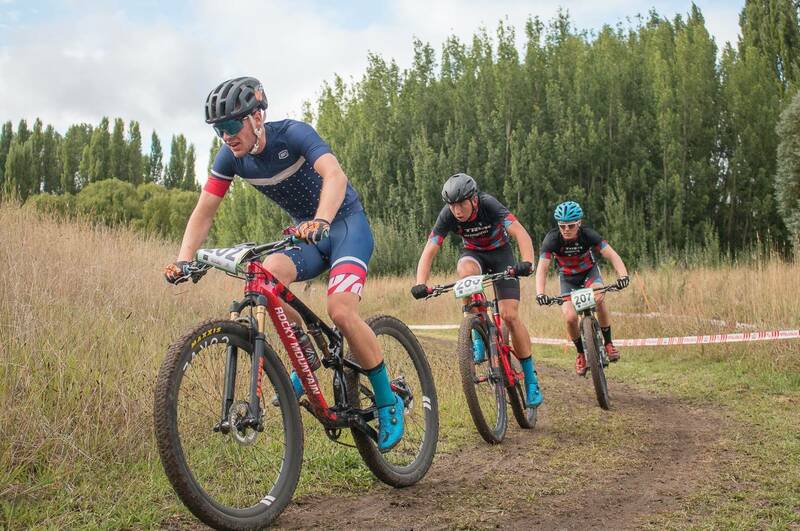 As racing finished on Saturday, the cross-country course was opened for practice, an ideal time for U19, U23, Elite and Master's men 1-3 to get some more time on the course. And given the rain showers through the U15/U17 men's racing, many wondered how muddy could it get? Should they change their tyres? 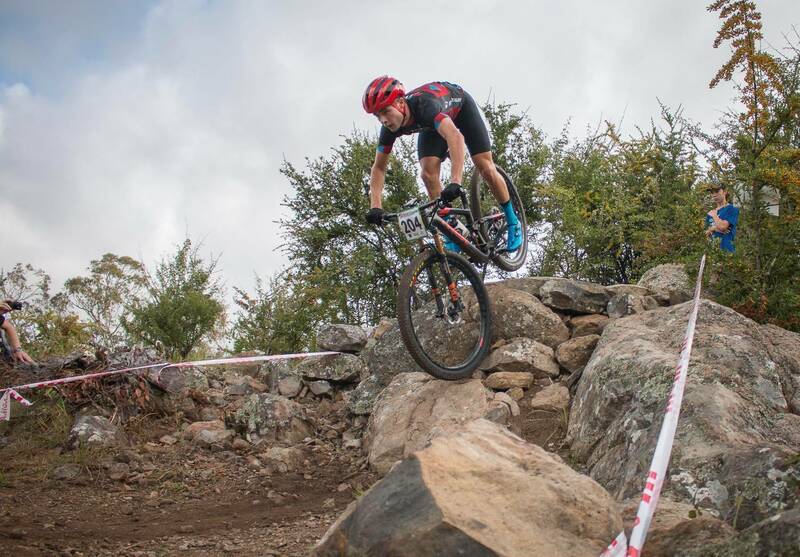 Will the storm hit during the elite men's race? 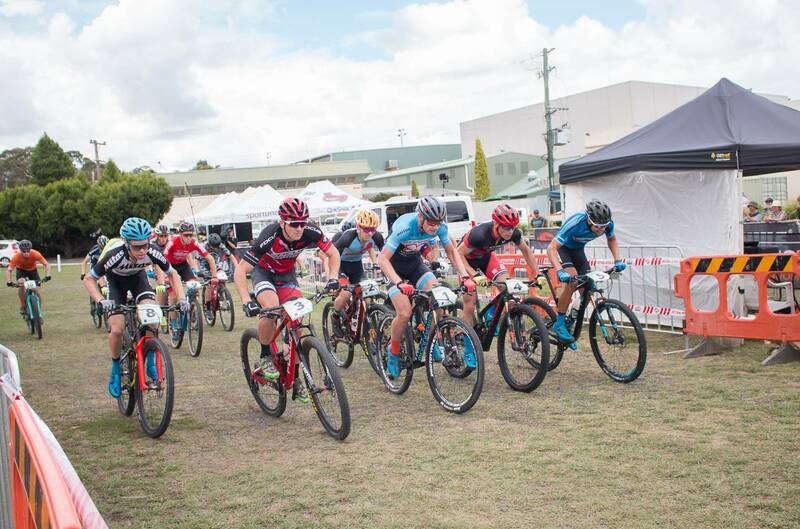 Sunday was race day for the majority of racers, and the first to put their tyres to the track would be the Junior Men, with masters 1-3 right on their fast-moving heals. The grass was wet, the dirt was grippy, and the sky was grey but not ominous. This was a perfect recipe for fast racing. Corey Smith lights it up! The front group of 5 had Corey Smith, Cam Wright, Matt Dinham, Sam Fox and Charlie Brodie. Soon enough Wright and Dinham were away, with the other three chasing. The pair were wheel to wheel, but in time, the terrain and the challenges it presented would cause a slip up. The Spine claimed some victims, but also created gaps for those who could tackle it faster. But it was on the climb to The Spine where Matt Dinham had a tiny slip, which gave Cam Wright the opportunity to attack, and gain the lead he needed to win. 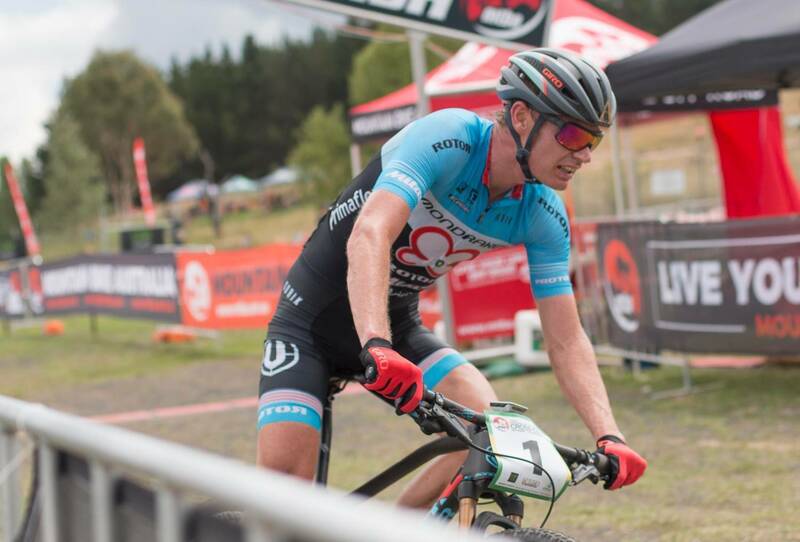 Matt Dinham was 2nd and the chase group was broken up on the last lap, with Sam Fox getting Bronze, as Trek Shimano team mates Corey Smith and Charlie Brodie rounded out the podium. Full results are online. Masters 1-3 started right behind the Junior Men, and Masters 2 and 3 tend to have some of the closest racing. And that didn't change at National Championships. 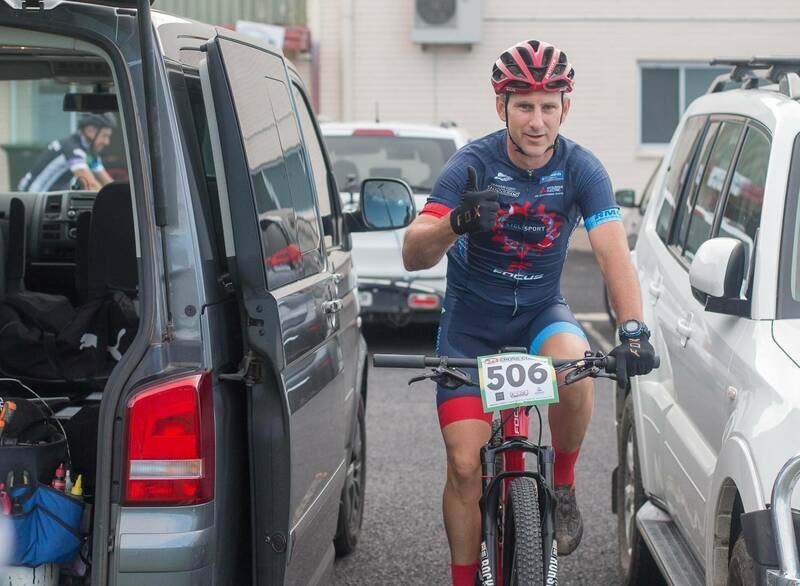 It was clear from the gun that David Penhaligon wouldn't have an easy ride to the title, despite ruling the series so far this season. Shannon Johnson lead the charge and after a mechanical, chased hard to catch back up. Then Penhaligon had a mechanical of his own, but he couldn't regain contact. Brian Price came in 3rd with Peter Horwood besting Todd Cuthbert to round out the top five. Masters 3 was also full gas, as Peter Lister sought to take charge. And despite a tumble on his 2nd lap that's what he did, taking his second title for the weekend after winning the Masters 3 XCE jersey on Friday evening. Bernard Cosser-Smith was a very close second, and Alwyn Miller was 3rd. Full results are online. Adam Cooper in the trees. All Elite, U19 and U23 women would be on the course at once. Questions were asked - could Bec McConnell win another title? 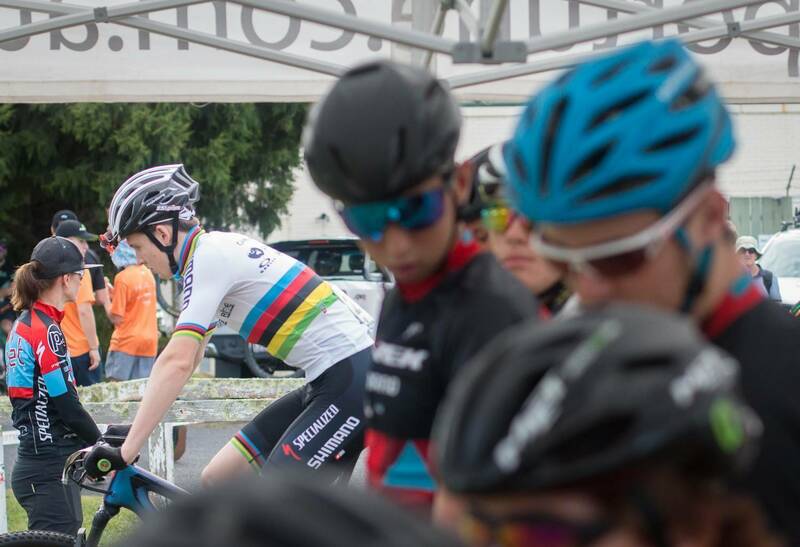 Would Holly Harris add an Elite title to her U23 title, and use her home track advantage? 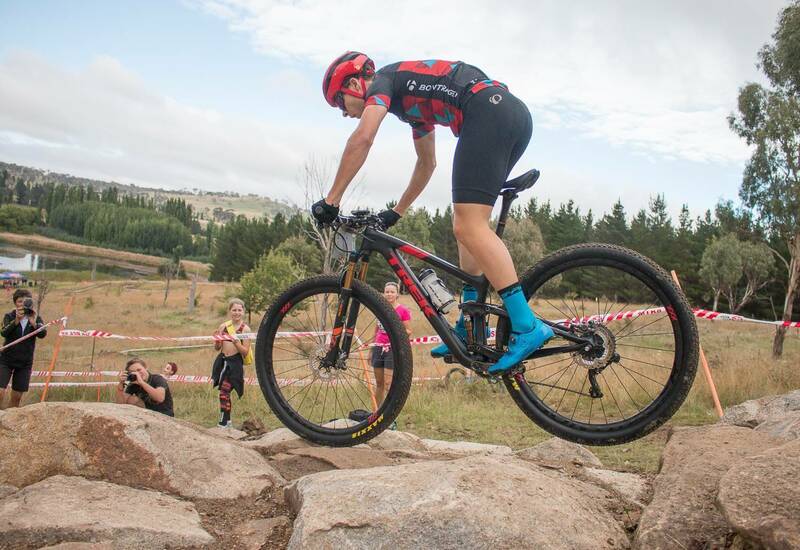 Who would take the U23 crown - and can anyone beat Zoe Cuthbert? From the gun, Bec McConnell was on the offensive. 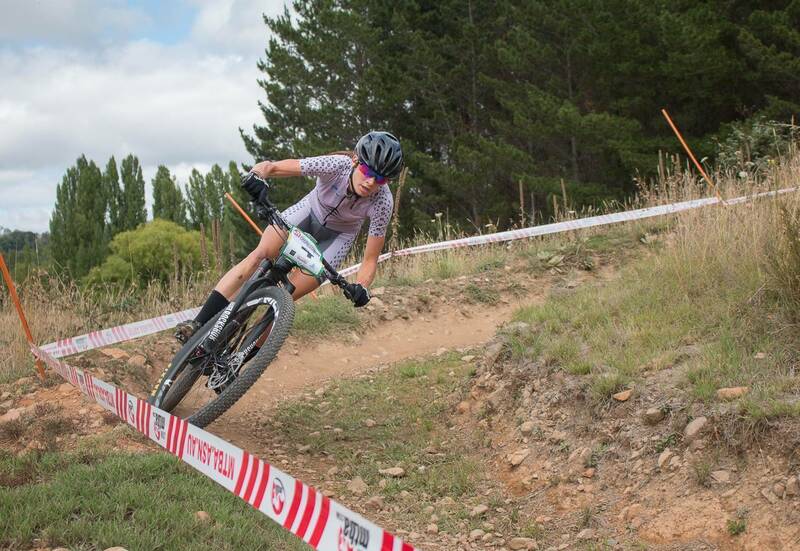 Imogen Smith was right onto her wheel with Holly Harris on hers - Smith then letting Harris go after McConnell on the pinch climb away from the race village. By the time they got to the feedzone, Harris was leading McConnell and they were clear of the field. Smith lead the chase group with Kathryn McInerney on her wheel. 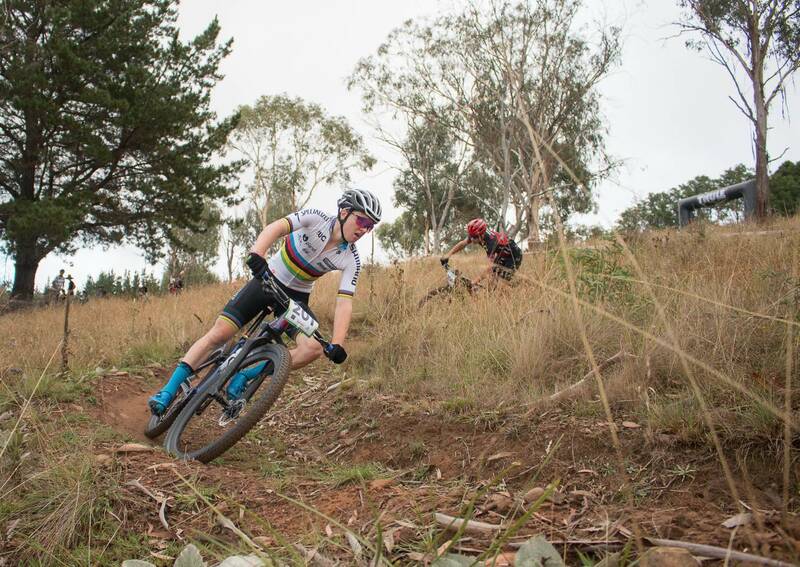 Charlotte Culver in U23 was also making headway through the elite field, leading her class. Culver remained composed under pressure to win her second title for the weekend. 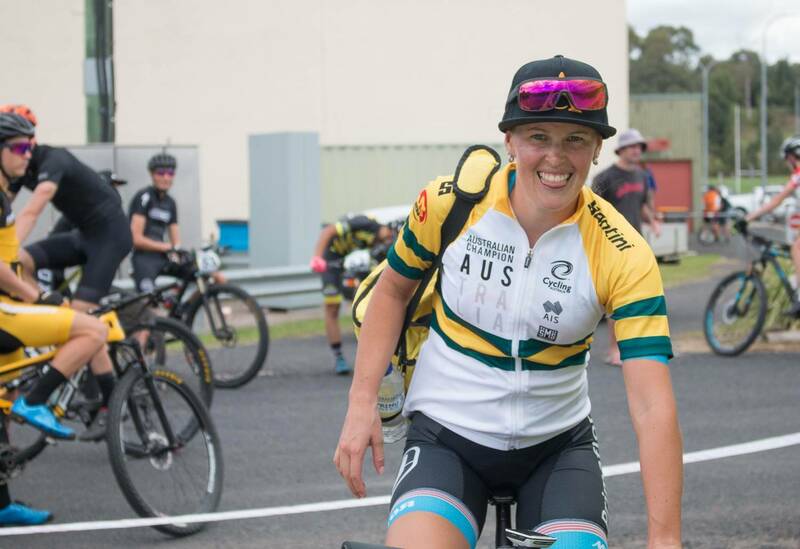 Harris and McConnell extended their lead, and after a first lap crash, Eliza Smyth found ehr rhythm and was riding back into the race - and into 3rd place. 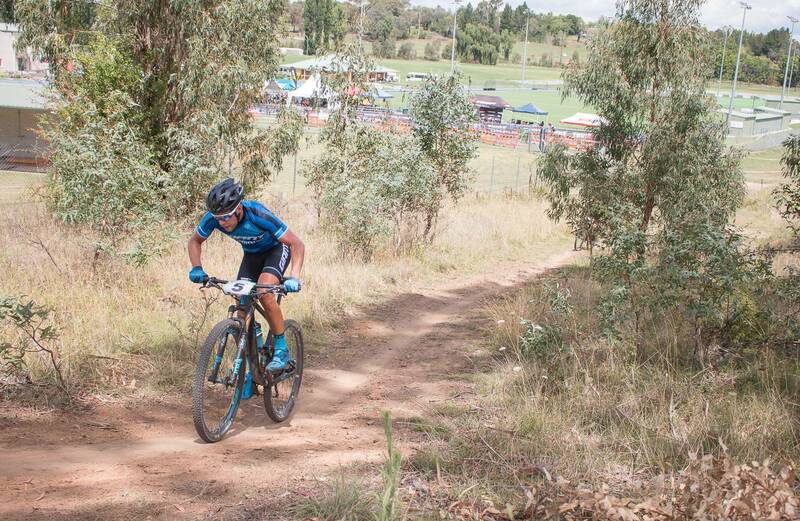 In the U19 women Zoe Cuthbert was leading, but she wasn't riding away with it. Teagan Therstone was never far behind, and Cutbert won by 6 seconds. In U23, Culver took the title with Sarah Tucknott in 2nd. On the 3rd lap, McConnell broke away from Harris, and never looked back. 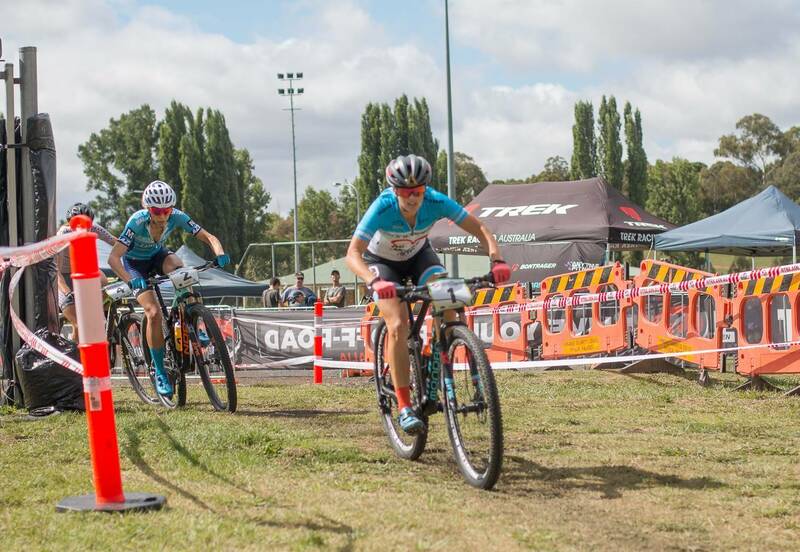 She built her lead and gained over a minute on the Armidale local. Smyth came in 3rd. Full results for the women's races are online. If the women's field had questions about who would perform, the men's field had even more people wondering. 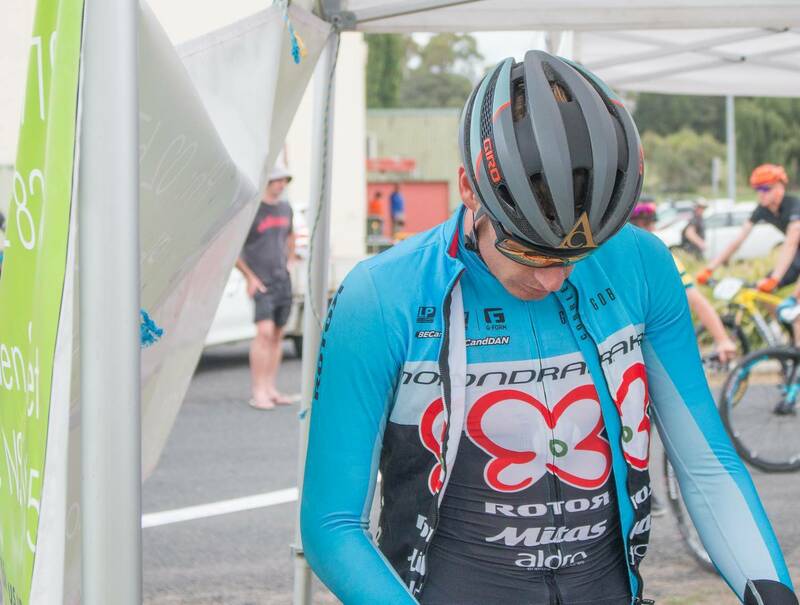 Dan McConnell had openly admitted his early season racing and training hadn't been going how he wanted it to, Cam Ivory was out to add an elite title to his U23 national title, and plenty of riders were in the wings ready to make their mark - such as Russ Nankervis, Sebastian Jayne, Brendan Johnston and Ben Bradley. The start was fast - but not crazy. Ivory admitted he knew the guys weren't going full gas but chanced an attack anyway, clearly hoping any counter attacks wouldn't be stronger thanhis own. Only McConnell could Ivory and the two went clear - but soon enough Ivory was solo. In time Ivory was solo, and the chase behind developed with Jayne, Johnston and Bradley. In the U23 race Alex Lack and Michael Harris animated the front of the race, as Reece Tucknott trailed barely behind them. The toil of a long race took effect and the chase group in Elite men was split. Seb Jayne was sitting in 3rd while Johnston was 4th with Bradley in 5th. Behind, Nankervis and Blair were chasing, with Tristan Ward ahead. On the line Cam Ivory was triumphant over the moon that he had achieved his goal. McConnell crossed for second, Jayne 3rd, with Johnston 4th and Bradley 5th. This race could have gone many ways but it was clear that Ivory's win was a crowd pleaser. 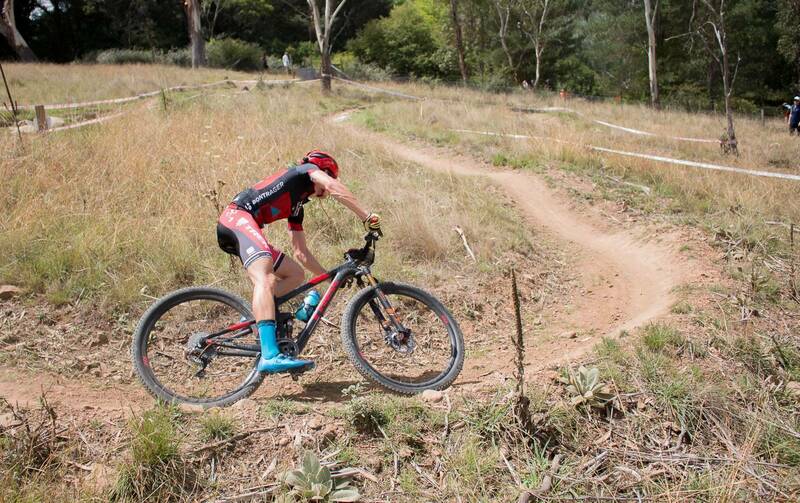 Alex Lack won U23, with Michael Harris in 2nd and Reece Tucknott in 3rd. Full results are online.